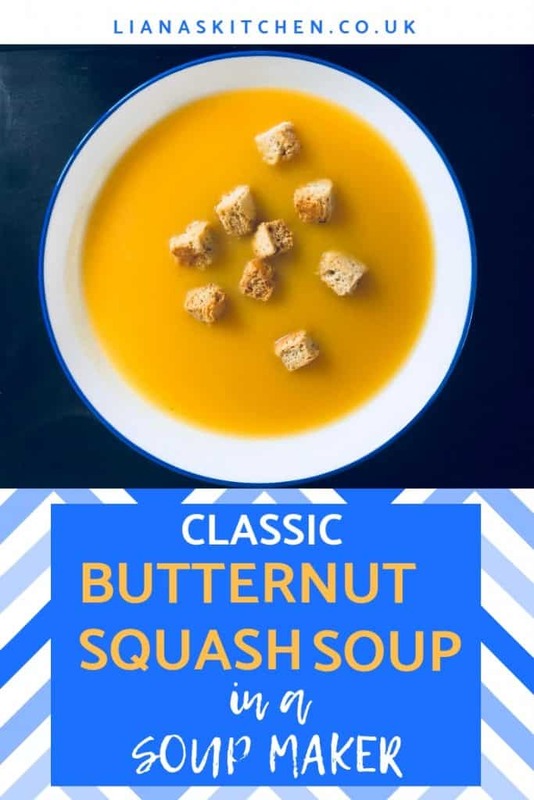 Butternut Squash is one of my favourite soups. 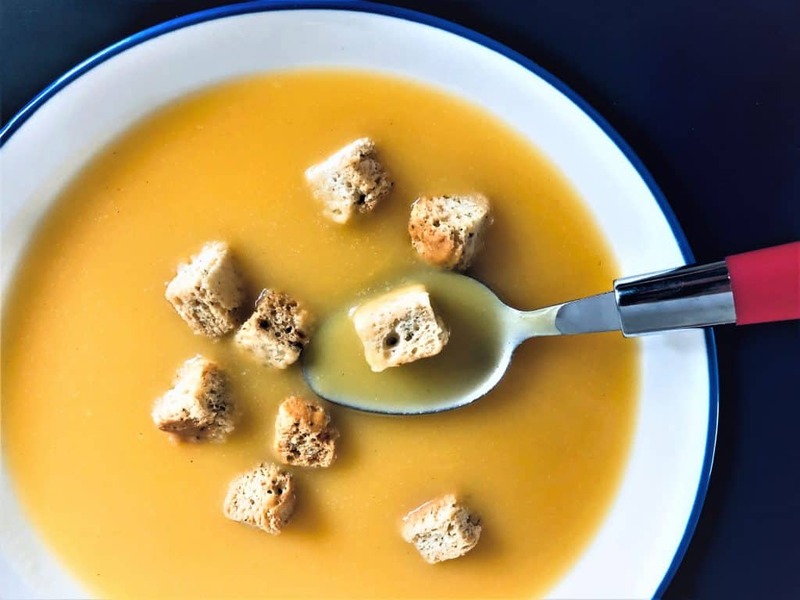 The nutty taste, combined with the sweetness of the squash, feels like the perfect combination for a warming soup. 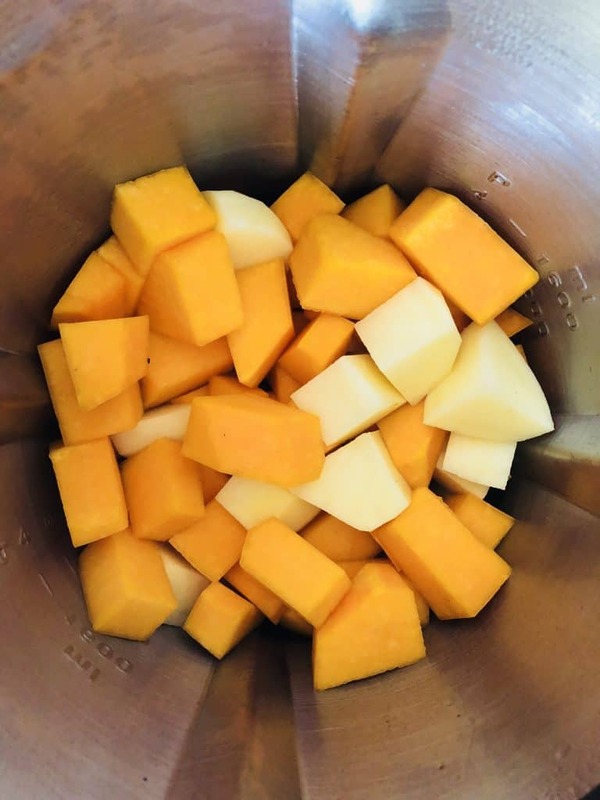 The good news is you can make butternut squash soup in your soup maker really quickly. In my opinion you need very few ingredients to achieve a great tasting dish. 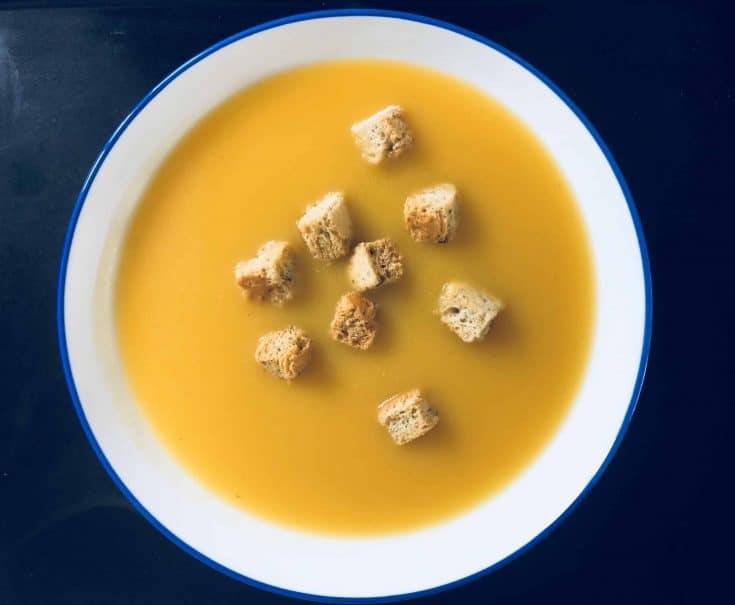 This butternut squash soup recipe only has onion, garlic, potatoes and stock added. You can of course spice things up according to your taste buds. A sprinkle of ginger or cayenne pepper can be all you need to add a little extra zing. 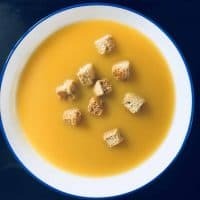 I nearly always set my soup maker off on smooth to make this recipe. I absolutely LOVE how creamy and smooth my soup maker gets it. I added a few red onion and cheddar flavoured croutons to this soup for that little bit of crunch. TIP: Can you make butternut squash even faster? You bet you can 🙂 Just look out for the chopped and ready to use butternut squash for sale in the supermarkets. If you enjoy this soup you might be interested in joining my Soup Maker Recipes page over on FB. I also have a Soup Maker Recipe Book over on Amazon – it has 100 recipes, all tried and tested. 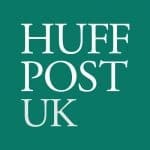 (You can check it out here). Sauté onion & garlic in the butter or oil. This is optional, if your soup maker doesn't have a sauté function then you can either do this step in a separate pan, or leave it out. Add all the ingredients to your soup maker and top up with more stock if required.